Ohr V’Daas is proud to announce that it has officially opened an ADL (Activities of Daily Living) Apartment for the students to learn realistic life-skills. 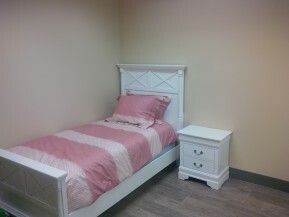 The “apartment” contains a bed, a dresser, washer and dryer, and a spacious kitchen fully equipped with all appliances and utensils. 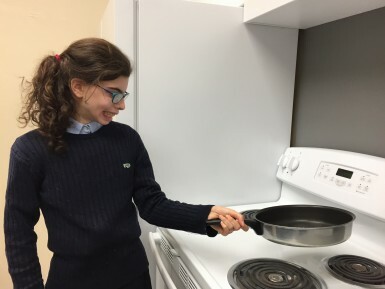 The students learn to do laundry, make beds, clean, prep food, cook, bake, set the table, wash dishes and many other house-related life skills. The older classes even go shopping at the supermarket, bring the food back to the kitchen and then cook meals! This apartment has brought the home environment to the school setting and helps bridge the two worlds of the students’ existence. The goal of the apartment is to help the students become more independent in their own homes and even help their parents! Most people view regular life-skills for granted. We typically don’t need to think before making ourselves a sandwich. 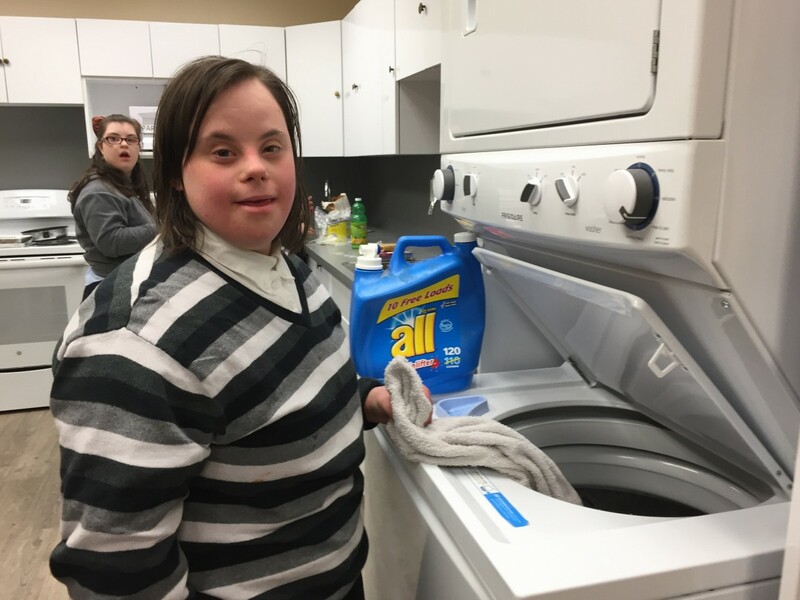 In many cases, special needs individuals are truly capable of handling their own personal hygiene, laundry or meal prep. However, unfortunately, often adults perceive these young individuals as “incompetent” and they are not even given the chance to learn these very “learnable” skills. It is however imperative that individuals with special needs learn life-skills in a hands-on manner and be given the opportunity to practically implement what they are being taught in a realistic setting. In Ohr V’Daas we not only believe they can perform these skills, but we also raise the bar in what we expect from them. We have found that five simple steps lead these students to progress enormously in their everyday lives. First, we state the goals of what we want the student to accomplish. We then create a plan of action. Next, we implement the plan by teaching skills in the apartment or the supermarket. We then generalize the plan into the student’s own lives outside of the apartment, either in their own homes or in the classroom. Last we maintain the plan which entails making sure there is attention given to maintenance with the new acquired skills so that the students don’t “lose” the skills over time. Goal. Create. Implement. Generalize. Maintenance. And then we stand back and shep nachas.